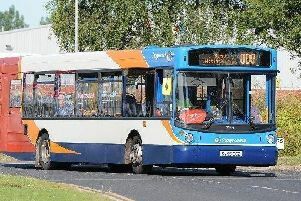 Bus firm bosses say they have had no choice but to drop a route connecting several Wyre towns. Catch22 launched the 23 service last summer linking Cleveleys to the Pheasants Wood area of Thornton. The route was launched in response to concerns from several councillors that areas had been left without a bus service following the loss of local authority subsidies. But Catch22 now says the service is unsustainable. It will end on June 2. A spokesman said: “Catch22Bus has de-registered service 23 that we operated on a trial basis following meetings with you to serve the communities in parts of Pheasants Wood and West Drive, Thornton, Carleton and Hardhorn that had lost service as a result of cuts to LCC supported bus services. “The revenue from the service has failed to cover operating costs and there seems no hope of it every doing so. “This cannot be sustained in the long term. Catch22 bosses have written to councillors in the area served to inform them of the decision. Blackpool North and Cleveleys MP Paul Maynard has also been informed of the change.